On October 5, 2012, our Colorado community was rocked by the abduction and murder of a 10-year old girl who had dreams of being a cheerleader in high school and loved the color purple. Jessica Ridgeway was taken on her way to school and the community still grapples with the tragedy. But this nightmare for the community resulted in something positive, it sparked Lassy Project, which honors Jessica’s memory every day by building safer communities and protecting the children we love. 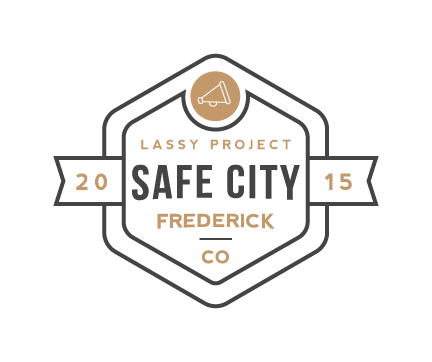 In honor of Jessica Ridgeway and the thousands of other children that go missing across the world, Lassy Project is honored to be partnering with the Town of Frederick to create the safest community possible for the residents of our town. Lassy Project technology aims to keep kids safe by immediately alerting parents via text message when their child isn’t where they are supposed to be, then providing them the ability to mobilize a group of neighbors and community members in seconds to help. The plan is simple: Every resident of Frederick is encouraged to download the FREE Lassy Project app. In a few short minutes, create a profile then build your safety network. If your child ever goes missing, press a button and DONE! You have an instant search and rescue team. Together, we will create the world’s largest network of community members that reinforce safety and make the Town of Frederick the safest place to live. For more information, please visit www.LassyProject.com below.